Ultimate Travel Destination - Why Travel Thailand? Fall In Love With It All! 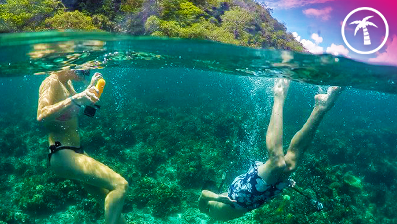 There’s a reason why Thailand is known as the ‘Land of Smiles’ … because it is impossible not to smile when you see all the incredible things it has to offer, when you meet the amazing people that live there and when you do some of the awesome activities that are available! 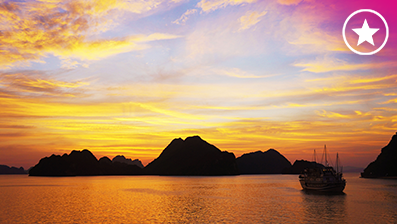 Your adventure starts the minute you arrive in Thailand and the memories will stay with you long after you leave. 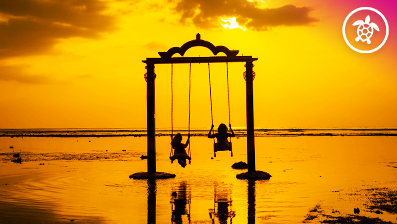 The locals, the food, the scenery, the weather – you will fall in love with it all! Each place brings a different vibe to it – the hustle and bustle of Bangkok, the serenity of Khao Sok and excitement of Koh Phi Phi. 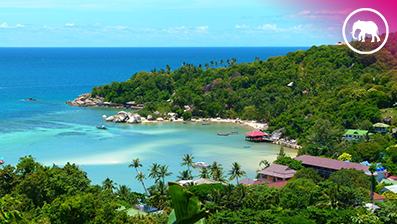 Koh Samui, Koh Phangan, Koh Tao and Koh Phi Phi are probably the most famous ones, but there are heaps more to discover and one is nicer than the other. The Thai culture is amazing. Warm welcomes and big smiles wherever you go. The temples cannot be missed! Who doesn’t love Thai food, especially if you’re a fan of spices. Try some delicious street food, nothing better than a $1 Pad Thai to kill the hangover. Ever tried a fried scorpion? The Full Moon Party is probably on most people’s bucket list. Indeed, it is a night you won’t forget. 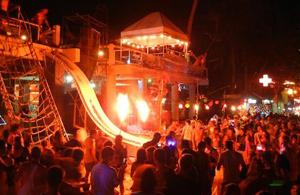 Though, beach parties on places like Koh Phi Phi and Koh Tao are pretty epic, too. Ultimate Adventure Tour with good mates around southern Thailand. Chat to other travelling around the same time like you. Check out whether you need a visa for Thailand. Thailand is great for a holiday, gateway to backpacking around South East Asia, but also the perfect place to start or finish your gap year in Australia! The culture is often a pleasant surprise for people and you’ll leave feeling enriched and looking at life from a completely new perspective! Especially, after having lived in expensive places like Australia or the UK, Thailand is also insanely cheap! This means one thing – shopping, partying (basically living like a king)! Don’t underestimate the size of the country. You’ll need a good 3 weeks to see only the highlights from north to south. 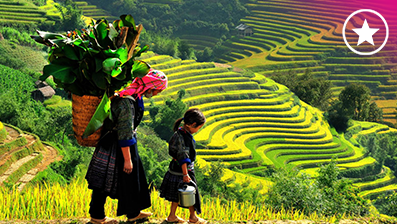 Top things to see and places to go are Chiang Mai, Pai and Chiang Rai far north with their relaxed atmosphere. If you’ve always wanted to encounter elephants up close, this is where you can find sanctuaries that actually care for those beautiful creatures. Obviously, you can’t miss Bangkok and the infamous Khao San Road. If you think nights like the one you see in ‘Hangover’ can only happen in the movies, you’re wrong..
Further south, you’ll find Khao Sok National Park. Wake up on floating bamboo raft houses and take a dip in the lake amongst lush green jungle. It’s magical! 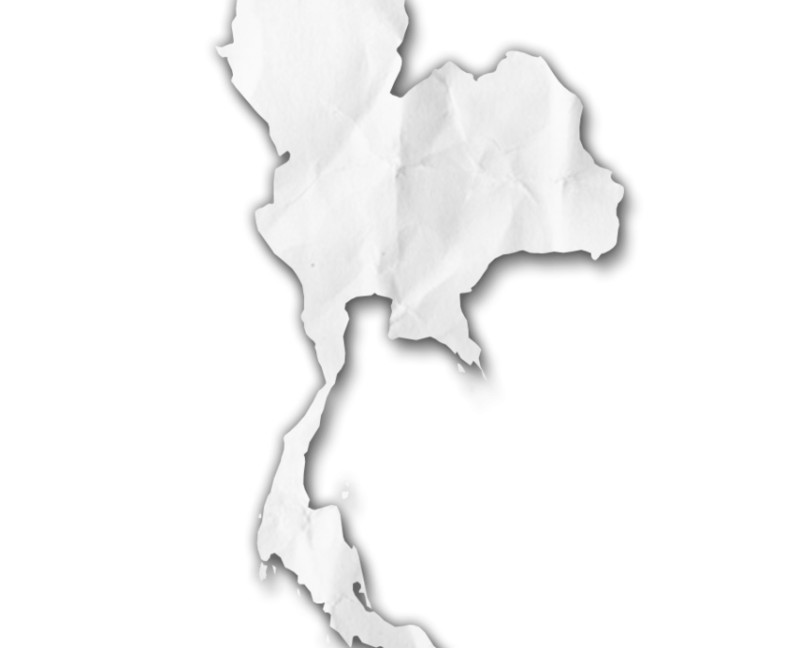 And, of course, there are the islands: Koh Phi Phi/ Maya Bay, Koh Samui, Koh Phangan, Koh Tao. Thailand is the perfect place to start, or finish, your gap year in Australia (LINK), because it’s on the way home for a lot of people! Not to mention that it is so different to any other destination you may have been before. The culture is often a pleasant surprise for people and you’ll leave feeling enriched and looking at life from a completely new perspective! Thailand is also insanely cheap! This means one thing – shopping! Visit the night markets for a unique shopping experience and grab yourself some incredible bargains that will serve as memories for years after your trip has ended! Those crazy stories your mate told you about? They’re true! Full Moon Parties on Koh Phangan are carnage! Seeing pictures of people riding elephants or taking selfies with giant tigers is definitely something you don’t get to do every day. Though, think about what it would take to turn a wild creature into some obedient pet animal just so tourists get to play with it. Travelling is also about learning to preserve what’s left of this beautiful place we call planet earth. Why we don’t ride elephants. S O N G K R A N ! Seriously, if you ever get the chance to travel Thailand in about April time you’re up for the party of your life. 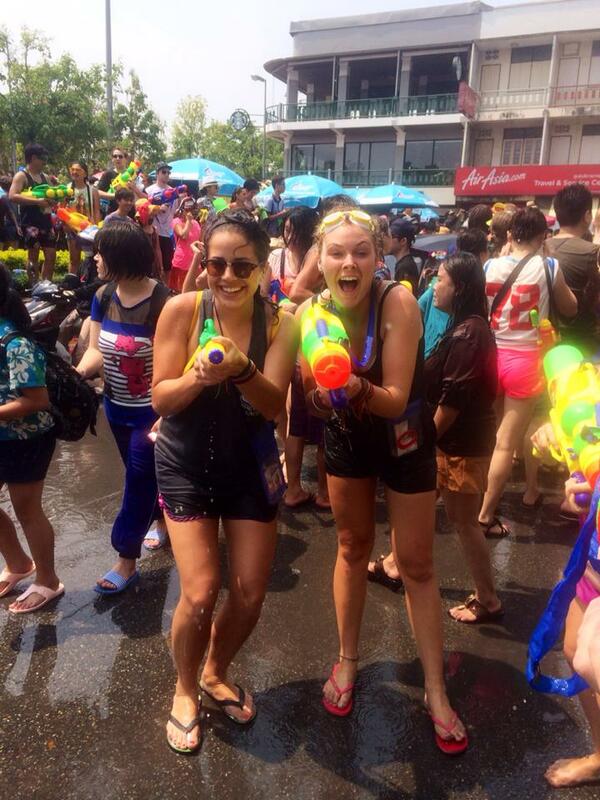 Especially, Bangkok takes it to the next level with 4 days of the worlds biggest water fight, loud music and a buzz you won’t ever forget. After Songkran, the second biggest festival is Loy Krathong in November. See thousands of lanterns rising up into the night sky until they blend in with the stars. It will take your breath away! Is Southeast Asia Safe To Travel To? It is illegal to go commando in Thailand. Bangkok currently holds the Guinness record for having the longest name of a place. Apparently “Bangkok” is just the short version because the city’s ceremonial name is “Krung Thep Mahanakhon Amon Rattanakosin Mahinthara Yuthaya Mahadilok Phop Noppharat Ratchathani Burirom Udomratchaniwet Mahasathan Amon Piman Awatan Sathit Sakkathattiya Witsanukam Prasit”. Say what? There are about 35,000 temples in Thailand. Red Bull, the world-famous energy drink, has its roots in Thailand. the head is considered the sacred part of the body and not to be touched without permission; certainly don’t put your feet near someone’s head!